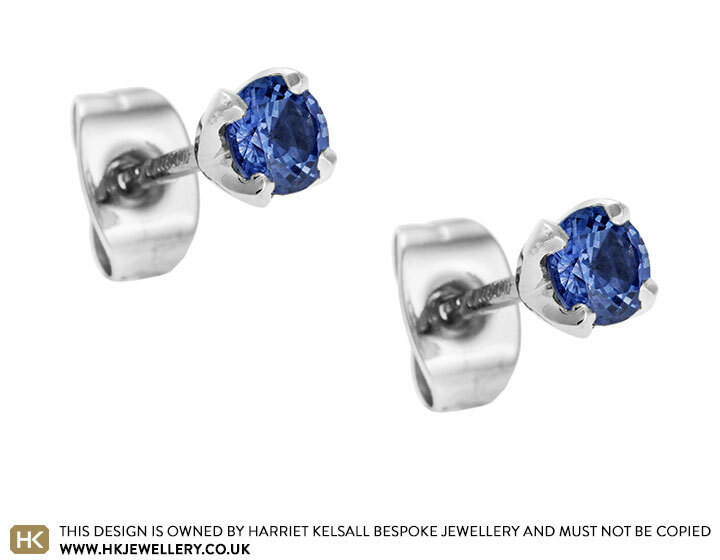 These stunning handmade earrings each hold a brilliant cut sapphire, which have a total weight of 0.66ct. 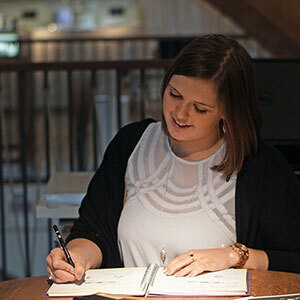 The elegant design is inspired by a tulip and the setting for each stone has been shaped to resemble four delicate petals which all join together to hold the brilliant cut stone. The earrings have been handmade in palladium and use surgical steel butterfly scrolls. 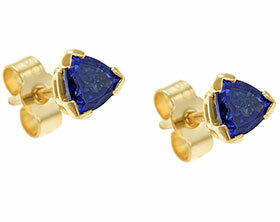 Bespoke 18ct yellow gold blue sapphire earrings. 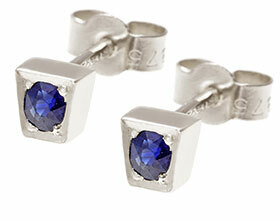 18ct white gold earrings with diamonds and blue sapphire. 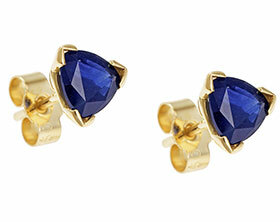 9ct white gold earrings with blue sapphire. Sapphire pendant set in 18ct gold with a snake chain.